It’s no secret that caregivers of individuals with special needs have a difficult and demanding job that can result in exhaustion and burn-out. This is why Florida special needs planning attorneys often advise clients to look into their options for respite care and adult day care, since it gives caregivers a chance to relax, refresh, and recharge – meaning they’ll be better able to care for their loved ones. Respite care is often performed by family members, trusted friends, or professional caregivers and can be beneficial to both the caregiver and the individual with special needs. It allows the caregiver a chance to take a break or attend to other responsibilities, while the person with disabilities can benefit from a change of pace. Respite care often takes place in the home, but sometimes churches and specialized facilities offer respite care services. These services include companionship, personal care, meal preparation, and assistance with medication. If you don’t have family members or friends who can provide respite care, your local special needs attorney can give you a list of locations that provide respite care, as well as agencies that refer respite caregivers. Take note: when hiring a caregiver through an agency, be sure to do your research and make sure the agency is licensed and insured. Adult day care facilities differ from respite care in that they are organized programs and provide more care options for individuals with disabilities and special needs. In addition to the options listed above, adult day care centers are also great places for individuals with disabilities to socialize and participate in activities. Adult day care generally offers no medical services, even if they are associated with a hospital or other medical care facility. Typically, adult day care centers only help with administering medication and sometimes with physical therapy. Adult day care centers can be expensive, but there are ways to help alleviate the financial burden, such as long-term care insurance and government assistance programs. As with respite care agencies, special needs planning attorneys will urge you to research adult day care centers in your area to make sure they have a good reputation and offer the kind of services needed for your loved one. 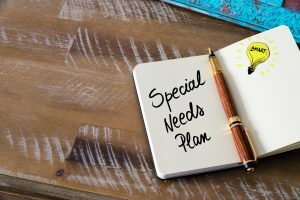 If you have questions about respite care or adult day care facilities for your loved one with special needs, or if you’d like to explore different ways to pay for respite care, please contact our Florida special needs planning attorneys at the Law Offices of Laurie Ohall P.A. at (813) 438-8503 to schedule a consultation. Ex-Spouses win the jackpot of your life insurance if you don’t change your beneficiary.